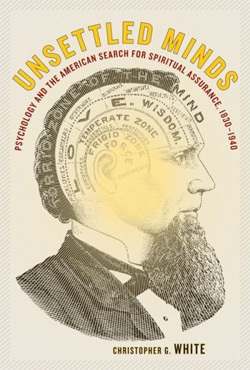 The (unnecessary) rise of the spiritual memoir. We live in an age of autobiography, one in which young writers cannot even bother to change people’s names to create a novel, in which a story being true is a greater virtue than being well written, or insightful, or interesting. I have a few unyielding standards for a memoir: Either your book must be exceptionally written (a trait hard to find in memoirs these days) or you must have done something exceptional. You must have traveled to the underground or the heavens and come back with fire or golden apples or at least a little wisdom. It can’t just be, “Daddy hit me, mommy got cancer” — everyone has a sad story, and it is possible to go through a trauma or experience something significant without gaining any insight. You would think that the spiritual memoir would be a stand out division — after all, if the writer has seen the face of God, he or she should probably get a good story out of that. For centuries, people have been telling stories about spiritual experiences, listing out their sins, telling tales of redemption and light at the end of a very dark tunnel. These past few years, however, have seen a crazy rush on the subject matter, with everyone who has ever thought about religion feeling the need to write about it. Approximately half the United States population will convert or adapt their religious beliefs at some point in their lifetime, which equals a lot of potential memoirists. I suppose the thought process behind publishing these books is that since it’s in the air of our culture, those who are seeking will want to hear other people’s stories. But the same rules from other memoirs apply — just because you lived through something, that doesn’t mean you have anything interesting to say about it. Perhaps the bar is set too high by the original spiritual memoirist, St. Augustine. 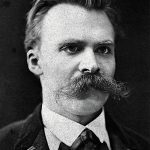 In his book, he had a great hook — “Give me chastity and continence, but not yet” — and managed to invent the concept of original sin. It’s not like a recent convert to, say, Judaism is going to top that. 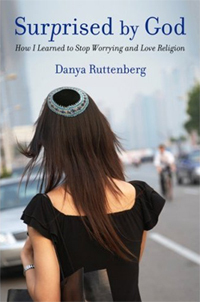 Danya Ruttenberg never really fell from grace, she just sort of shrugged it off. She declared herself an atheist at 13, but not because a trauma shook the foundations of her life. She just found temple boring. “The bearded man at the front of the enormous room put his hands out, palms up, and raised them. We all stood on cue, like well-trained dogs… It was very irritating, having to keep standing up and sitting down like that. By the end of service, I could barely contain my contempt.” Ah, the teenage years. Rather than being embarrassed, Ruttenberg lays it all out for us — the social isolation, the Ayn Rand books, the revelations she experienced dancing at Goth clubs. She builds herself up intellectually, feasting on philosophy, becoming involved in feminist matters, taking college level courses in high school. But when her mother dies, she finds solace in tradition and ritual. She begins to pray, and the concerns she had with religion begin to fall away. Suddenly the patriarchal tone isn’t stultifying; it instead evokes “the feeling of a small child looking to a parent for comfort and safety.” The question of who wrote the Torah — and the meanings behind the rules laid down — suddenly matter less and less. “God was in this book.” That is enough for her. Perhaps when she named her memoir Surprised by God she was thinking, God really is the narrow man-made construct I thought our society was in the process of rejecting. Surprise! When people find a window to the divine, they have a tendency to think theirs is the only one. Ruttenberg is no different. She falls into the trap of sneering at “idolatry” and thinks practicing yoga is “cheating” her Jewish tradition. Yahweh is a jealous God, indeed. And as far as other seekers go: If you’re not practicing a religion to the letter of its law, your experience is not as valid as hers. “In order for this to work, one must enter a single practice fully and let go of the attempt to control the terms on which this happens… A novice practitioner picking and choosing from various disciplines will inevitably miss vital parts of the curriculum — most likely the parts that she most sorely needs, that will require the most work for her.” The problem is that Ruttenberg is not a nuanced enough thinker or writer to make proclamations about religion as a whole. She can quote contemporary writers like Annie Dillard or theologians like Merton, and she does liberally, but whenever she stretches beyond describing her own personal experience, her ideas seem half-formed and unsupported. Her book fits right into the template of Conversion Memoir. You could rewrite a few sections and make this a memoir about a woman finding her place in Catholicism. Confession can be healing, communion brings about a sense of community, sacrificing certain behaviors brings discipline. It could also be changed around for Islam, or Hinduism, or Buddhism. These religions have survived because they are good for the soul. Their practices and rituals feed the needs of their followers. Ruttenberg is telling us absolutely nothing new. Had she been able to integrate her younger self — the feminist activist and the student who questioned the origins and implications of every aspect of religious ritual — all while keeping her faith, now that would have been a memoir worth reading. But Ruttenberg tells us over and over that these questions just stopped mattering as she continued her religious studies. They’re never answered — they just fall away. Ruttenberg’s unquestioning nature can occasionally become infuriating. After a trip to Jerusalem, she writes, “I may personally find the fact that women aren’t allowed to study Talmud in some communities to be morally problematic, but as long as the women in the community freely consent to this worldview, I don’t have the right to impose my perspective.” I had the same reaction as when I heard Wesley Clark say on Real Time with Bill Maher not so long ago that women in Afghanistan like the burqas. As if it never occurred to Clark or Ruttenberg that if women were “freely consenting” to restricted behavior, there were possibly a thousand other restrictions they had grown up with, told was their duty, were made to believe were their burdens because they were born women and therefore inferior. Her response to the matter is to walk around Jerusalem with a yarmulke and some red lipstick. Maybe Ruttenberg should be introduced to Robert N. Levine. 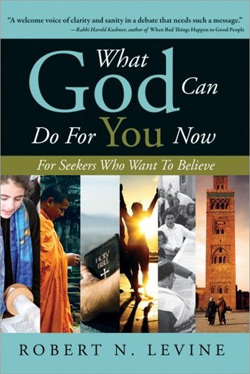 While his latest book What God Can Do for You Now seems to have been written in an effort to find the middle ground between fundamentalist works like The Purpose-Driven Life and the atheist bestsellers, he directly addresses the questions that Ruttenberg deems unimportant. I knew Levine was a kindred spirit when I read that his faith stumbled when he thought about the plague of the death of the first born in Exodus. He doesn’t shrug it off by saying that it ultimately doesn’t matter; he states, “Perhaps our sources are guilty of faulty intelligence.” The Torah, the Bible, and the Quran are not the direct word of God. They were written by men and they are full of holes and contradictions. Acknowledging that does not destroy the power of faith — it instead gives you some flexibility. To Levine, what matters is action. He doesn’t mean keeping kosher or resting on the Sabbath. “When you do what God would do if standing in our midst, when you act godly, you will find God. Really.” The title is misleading, then. Forgive me, but it’s not what God can do for you, but what you can do for God. That is, protect his creation, take care of your fellow man, and respect yourself. The spiritual healing comes out of these actions, not from just not turning on the lights one day a week. 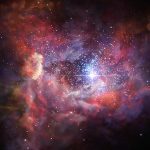 While I don’t agree with most of the arguments laid out in What God Can Do — particularly his idea that God is not omnipotent, and his chapter on why he thinks evolution was guided by an intelligent force — I still enjoyed reading his thoughts. It was more of a discussion or a debate than a lecture. I did not feel like he would judge me if I suddenly wanted to take up yoga (unlikely — I hate all of that breathing), or if the way I make sense out of the world is to believe in reincarnation. Those other parts of religion, the dietary restrictions, the discipline, the rules of how to live are there if you need them, but you can have a relationship with God even if you reject the rest. And Levine won’t call you shallow if you are thoughtful about your beliefs and actions.